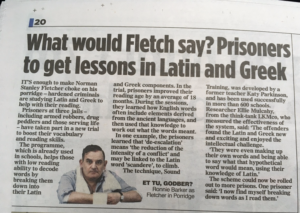 The Mail on Sunday today reports on a pilot of the Sound Training programme in three English prisons. 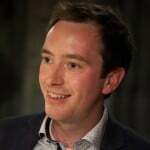 The programme, which combines decoding text, breaking down words into their components and developing the vocabulary needed to read for meaning, has been running in hundreds of schools since it was launched in 2011. 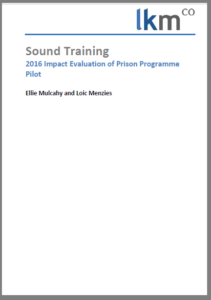 In late 2016, LKMco was delighted to conduct the qualitative element of a pilot evaluation, designed to explore how the programme could translate to prison settings. On top of the striking improvements in prisoners’ reading ages (an average of 18 months improvement) we found that the programme flew in the face of learners’ expectations for ‘prison courses’. They described tangible changes to their day to day life based on being able to express themselves more fluently in writing and in speech and a transformation in their ability to make sense of texts. They also developed a real enthusiasm for learning, a desire to get it right and high levels of engagement with the ‘detective game’ of using Greek and Latin roots to trace words’ meaning or to distinguish between similar sounds. The programme is now being rolled out to more prisons.